In short – virtually none. The budget proposal Trump delivered did call for a reduction in the money that eventually makes its way to Meals on Wheels. A spokesperson for the administration said federal dollars only account for about 3 percent of funding for Meals on Wheels. 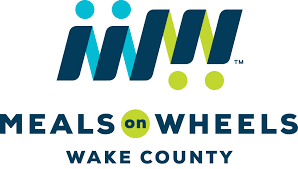 “For every dollar in public funding that we get from the federal, state and county government, we do raise about $2,” said Alan Winstead with Wake Meals on Wheels. I get the idea that a ‘compassionate society’ doesn’t neglect the most at risk and vulnerable. And I agree that a society Ought care for its own. However, the nobility earned by such a sentiment is lost when such care is obtained by force. Winstead said even though the official impact of the budget cuts on Meals on Wheels is unclear, they are using the time to advocate and raise money for the program. All of this doesn’t even mention the staggering fact that an organization can’t increase efficiency by 3%. This entry was posted in Debt - Deficit and tagged Budget, Meals on Wheels. Bookmark the permalink.